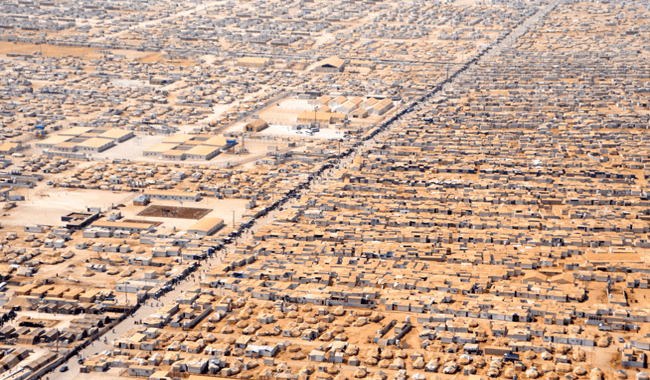 Image: Za’atari Refugee Camp, Jordan. When it comes to social commentary I like to think of myself as fairly broad minded. I take things with a pinch of salt, I don’t believe everything I see and hear and try to take an open minded overview of certain situations. The last few days has genuinely shocked and surprised me in how narrow minded, bigoted and just plain racist so many people openly are. That’s before you throw in other words like ignorant, blinkered, short sighted, narrow-minded etc. Yes it’s the refugee situation which everyone seems to have a view on – some reasonable, some not so (in my opinion!) KEYWORD – Refugee. I’ll get on to that in a bit. The reality in life is we all as people and countries (generally speaking) can do more. It’s also true that the 100 richest people in the world could give every penny they owned to every charity and it still wouldn’t be enough. Still more would be needed. So do we do nothing then, if we can’t do everything? I often wonder just how much these people are actually doing themselves to help the people they say that aren’t being helped. I agree more can be done to help our own, but why does it have to be one or the other? We aren’t playing Top Trumps of who’s got it worse! We can help all if we really want to. This isn’t me saying fill up every space we have with refugees and migrants, my point is that this constant “We’re full, send them back” statement is totally wrong and misguided at best, and intolerant, cold and heartless at worst. Then there is the other issue – the difference between a refugee and a migrant. Many people really don’t seem to know the difference and of course the ignorant ones pipe up “Well they’re all the same”. Refugees are fleeing war-torn countries, persecution etc or/and have been displaced, no longer have homes and so on. Do you honestly think when these people are literally fleeing for their lives they are thinking about the financial benefits of where they are trying to get to? (if they even know where that is!) There are two very different scenarios. Migrants and refugees. What you see in Calais is a very different situation to what you see in Syria for example. Many say that refugees are a problem (and not in a sympathetic way but in a ‘not on our doorstep’ kind of way). The real problem isn’t the oncoming refugees….but what and who they are actually running from. That’s the real problem. I will reiterate, I’m not saying open the borders and let as many as possible in until we can’t take anymore but what I am saying is we can do more. We can help assist, and be more tolerant and charitable, and yes at the same time we should try and do more to help our own as well. We CAN do both. Let’s help both and not be so inward thinking and downright heartless and intolerant.